Wed., May 16, 2018, 4:15 p.m.
CLEVELAND – J.R. Smith reached out, placed his hands on Al Horford’s back and shoved Boston’s big man out of bounds. 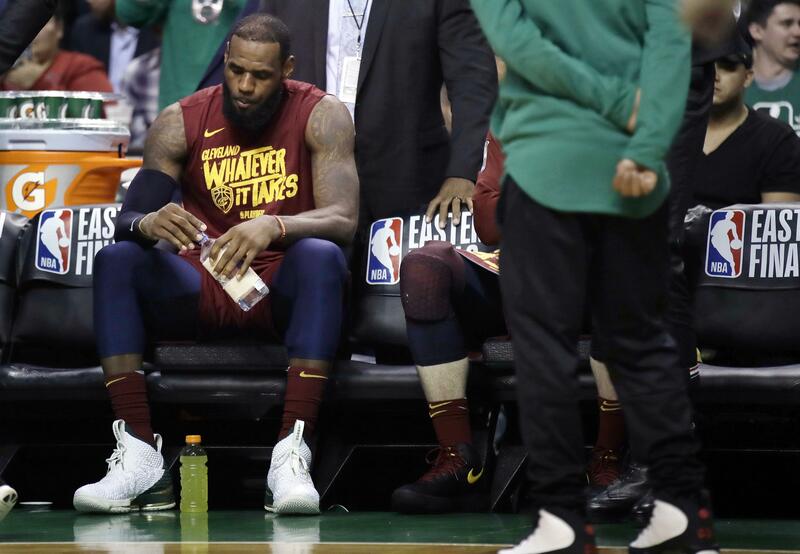 Smith’s shoddy performance in Game 2 – he missed all seven shots and committed a flagrant 1 foul in 27 forgettable minutes – underscored a startling disparity between Cleveland’s and Boston’s starting backcourts that allowed the fearless Celtics to withstand a brilliant, 42-point effort by LeBron James and take a 2-0 series lead. Another possibility is to drop Smith, who is 2 of 16 from the field and missed all seven 3-pointers, from the starting lineup, but that would be risky because of his mercurial nature. Sit him and risk never getting him back. And they certainly need more from Smith, whose frustration surfaced at the worst possible time when his hard foul on Horford riled up the Celtics and their rowdy crowd. Published: May 16, 2018, 4:15 p.m.